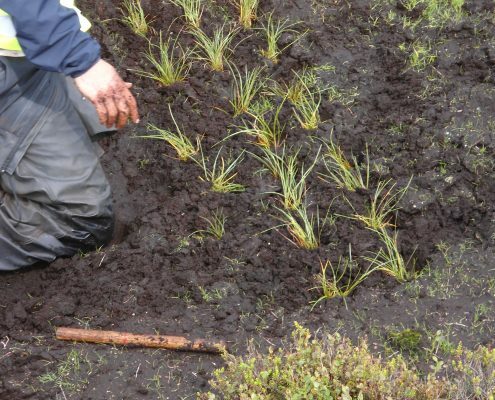 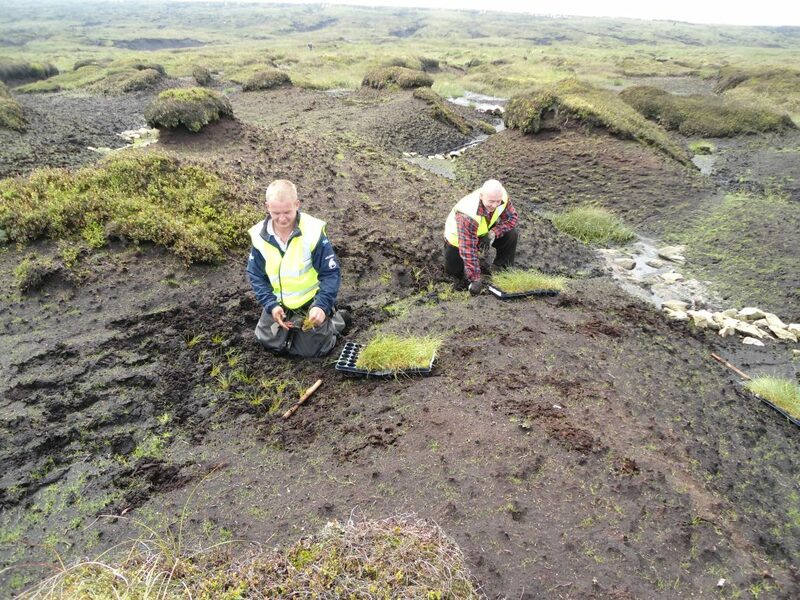 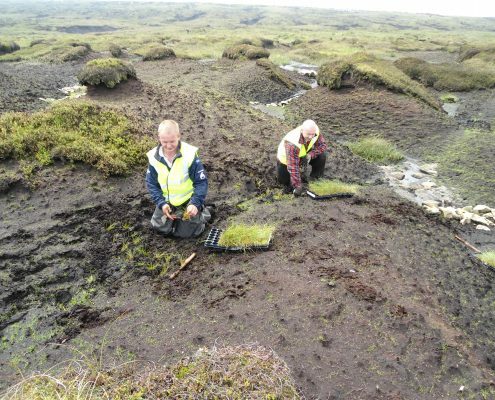 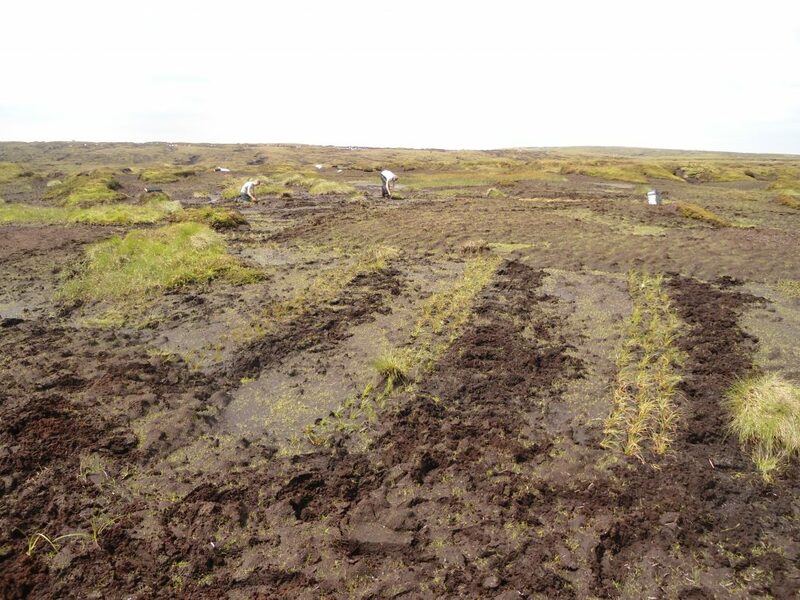 Conservefor experienced peatland restoration team planted 20,000 cotton grass plug plants directly into the bare peat on Kinder Scout for the National Trust as part of the ongoing peat restoration work. 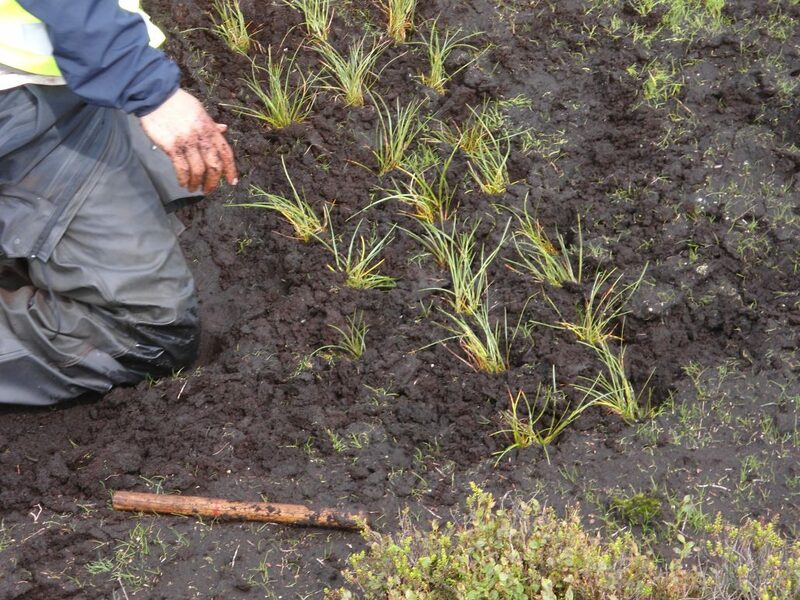 Cotton grass plugs are planted by hand, a maximum of 250mm apart, to enable the inoculated michorrhizal fungi in their roots to spread and support mass growth. 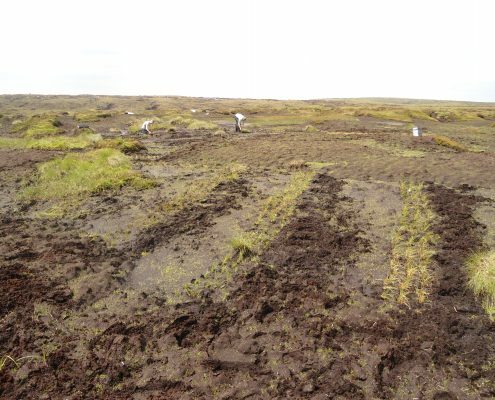 Planting is used to establish native moorland plant species that don’t easily colonise by seed and therefore to increase plant diversity. 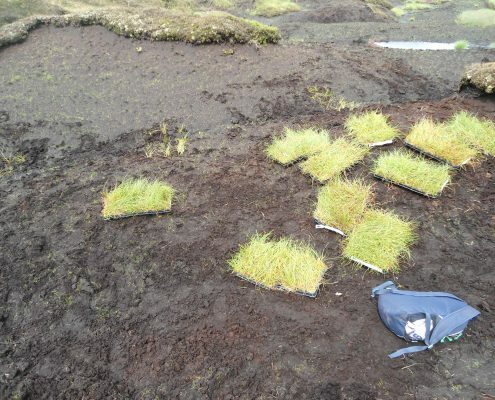 Each tiny plant must be taken from the tray by hand and planted to the correct depth and spacing to ensure its survival. 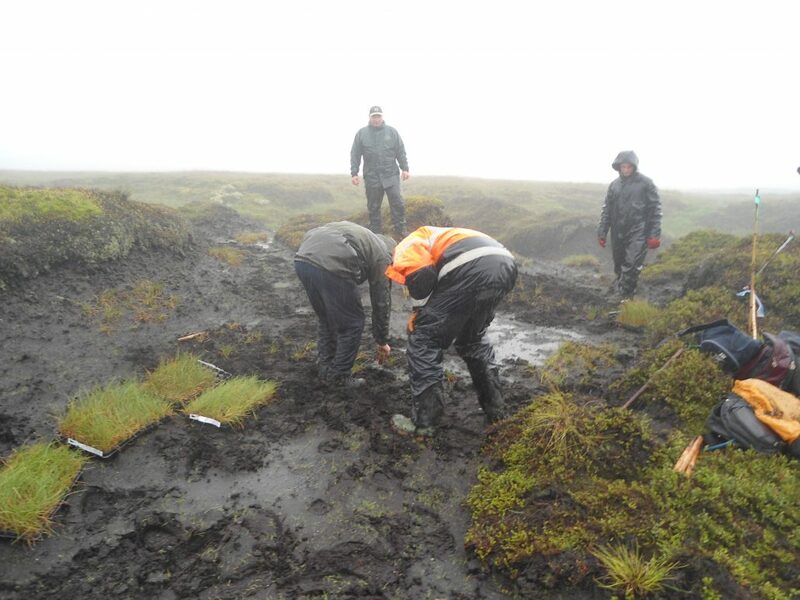 Our team realise the importance of peatland restoration and each member of the team made sure that each plant was given the best chance.